January has flown by even with all the rainy and sunless days. It is during months like these that a warm casserole, a hot cup of tea, a good book or binging a T.V. series makes myself and many others happy. Growing up in a family of seven required many casserole dinners to make the food go farther. One of the family favorites was Three Cheese Chicken Casserole. My mother would cook a whole hen and then create this family favorite as it would provide leftovers. I used this same casserole when our children were at home as I could also create a second meal of Homemade Cream of Chicken Soup. I hope your family enjoys this recipe as much as we do! Bon Appetit! Cook one package of Wide Egg Noodles per Package Instructions and Drain Noodles and add to Casserole Dish. Cook one Whole Hen until done in the Oven or on the Stove with Onions, Celery, Salt, Pepper and 3 tablespoons of butter. Let the Hen cool and then debone. 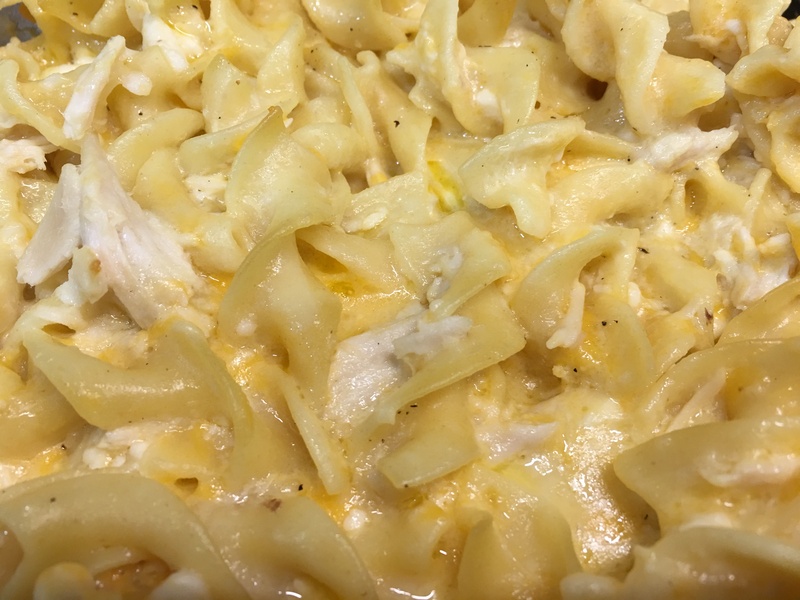 Extra Chicken can be used for Chicken Salad Sandwiches or to create a Homemade Cream of Chicken Soup or another of your favorite Chicken Casseroles. Add items below to the cooked and drained Egg Noodles and Stir together.